WHAT SURPRISING THINGS SPIKE THE BLOOD SUGAR? 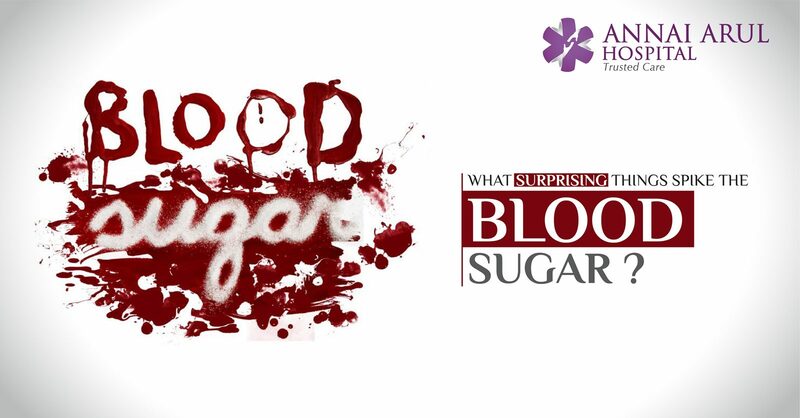 Blood sugar is an extensive subject because anything and everything can play havoc with your blood sugar levels. Sometimes just the time of the day can spike the blood sugar and add to this a diet that does not control sugar and you are in for trouble. Yet there are certain things that you may never think of, which can actually cause the increase in blood sugar levels. In this article you can find out some of the more surprising things that contribute to that shooting up of blood sugar. People on weight loss diet don’t eat breakfast and this is said to actually spike insulin levels and blood sugar levels after they ate lunch a few hours later. Another study showed that men who regularly skipped breakfast have more chance of developing diabetes than those who did not. A morning meal is thus important and one that is rich in protein and healthy fat can help stabilize blood sugar levels the entire day. We use artificial sweeteners thinking that they will actually help control our sugar levels. A recent study though shows on the contrary artificial sweeteners were seems to increase the blood sugar levels. The researchers were able to bring down the sugar levels in the mice which were used for the experiment by administering antibiotics to them. This shows that some fake sweeteners actually affect the stomach bacteria, which ultimately affects the body processing glucose. That is why all beverages using artificial sugar should be used only in moderation. Though there are many claims that coffee can lower the risk of developing type 2 diabetes, it is confirmed that for people who already are diabetic, caffeine can be dangerous. There are many instances where people with diabetes under control drink a cup of coffee and after an hour or two their blood sugar shows a spike. This shows that some people will have blood sugar that is sensitive to caffeine and they should be careful while taking coffee even without any sugar or sweetener. When you have diabetes or are prone to get it then a good night’s sleep can be a panacea. When people get less than 4 hours of sleep at night then their insulin sensitivity is seen to suffer. We all know sleep is restorative and if you get enough of it, you’ll wake up refreshed and with your blood sugar levels in control. When you get a common cold, have a urinary infection or a wound then your immune system will release germ fighting chemicals that will affect the blood sugar level. The particular illness will cause unseen stress in the body and in turn spike the blood sugar. The stress hormones make the cells more insulin resistant. There should be strict rules for a sick day where the eating and drinking controls will keep the blood sugar level.